MANILA, Philippines - Korean rapper Psy can finally claim the moniker "YouTube sensation" as an official world record. As his phenomenal music video "Gangnam Style" continues to rake in views, the Guinness World Records has declared it as the most liked video on YouTube. "'Gangnam Style', which has only been available to view since July 15, has been 'liked' in excess of 2,141,758 times, making it the most liked video in YouTube history," according to a post on the Guinness World Records website. As of this writing, "Gangnam Style" has been viewed 256 million times, liked by 2.56 million people and has become the favorite of 790,000 people. The music video also has 1.21 million comments. Guinness added, "The closest competitors for most liked video on YouTube include LMFAO's 'Party Rock Anthem' (1,574,963 likes), Justin's Bieber's 'Baby' (1,327,147 likes) and Adele's 'Rolling in the Deep' (1,245,641 likes)." "Having been the 'Have you seen this?!' video of the last two months across the web, it's great to be able to award a record for this tremendously popular video. In years past it was unthinkable that something would be viewed a hundred million times, and now 'Gangnam Style' has achieved more than twice this figure in just 3 months on YouTube," said Dan Barrett, Guinness World Records community manager. "Gangnam Style" also became the No. 1 song in 31 countries on the iTunes chart. "Number 1 @itunes in 31 countries~~!!! How wonderful LIFE is #gangnamstyle!!!" tweeted Psy. 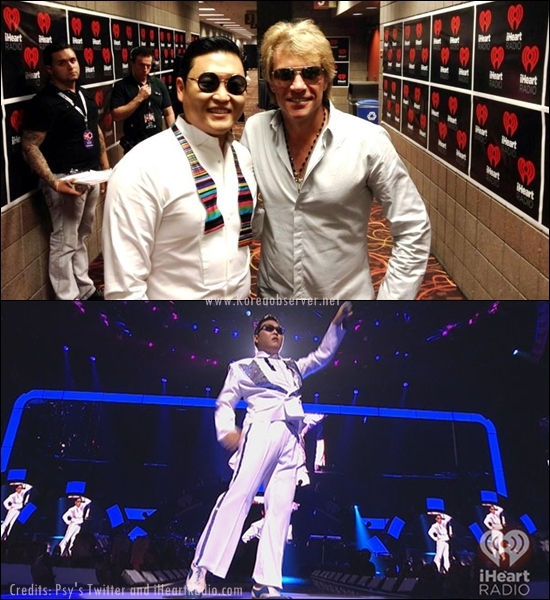 Last Sept. 21, Psy performed at the popular iHeartRadio Music Festival at MGM Grand in Las Vegas. Psy performed on the first day of the festival along with Rihanna, Bon Jovi, Green Day, Usher, Jason Aldean, Lil Wayne, Swedish House Mafia, Miranda Lambert, No Doubt, and Megan & Liz. "The iHeartRadio Music Festival would not have been complete without him this year. K-pop king, Psy, gave Las Vegas a full serving of 'Gangnam Style' by performing his viral song and dance on stage," according to an article on iHeartRadio.com. IHeartRadio added, "Everyone at the MGM Grand Las Vegas was PSY-ched and on their feet for Psy's performance, singing (in Korean!) and dancing along with him. Las Vegas has officially been Gangnam Styled!" Will 'Jewel in the Palace 2' Become A Hit?